A career in care is more than just work, for many it is a calling. Visiting Angels employs thousands of caregivers and office support staff across the world and in over 20 years of business we have learnt what it takes to be a great place to work. That’s why we were voted the “Best Place to Work” in the 2016-2017 Caregiver Choice Awards. Our approach to care is simple. If we do not put the carer at the heart of what we do we will never be able to deliver the best quality home care. So that is exactly what we have done. We are one of the UK’s first carer centric businesses because we know that if we can find the best carers and support them properly we will provide the kind of care that we would expect for our own family. Would you like a rewarding job that provides a sense of accomplishment, joy and gratification? Are you already a carer overwhelmed with too many visits and not enough time? Would you prefer to spend quality time developing relationships with your clients? If you love to work with people and have a history as a caregiver, you can become an Angel companion! If you have not worked in care before but would like to make a difference in your community don’t worry, we have extensive training programmes. Excellent pay rates including travel time paid, mileage allowance, company mobile telephone, loyalty pay, carer reward programme and full training and development plan and much more. Visiting Angels has been providing care across the world for 20 years. Our business has been built on recruiting, training and supporting the very best carers and enabling them to deliver premium quality care. We know that our caregivers are brilliant, loving, professional people doing amazing work that makes a real difference. 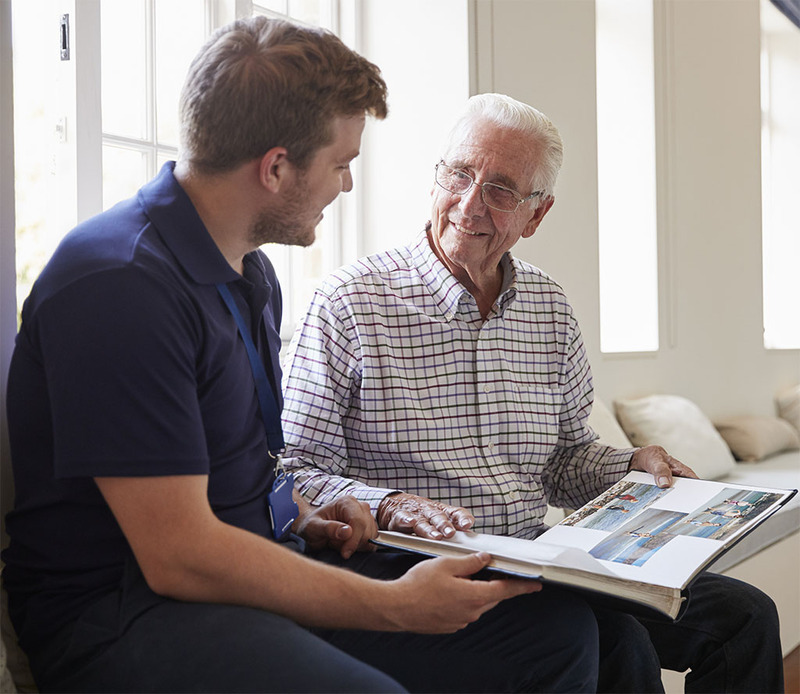 Too often care workers are under appreciated but at Visiting Angels we put our caregivers at the centre of our business to make sure they can deliver a truly person-centred service. We believe it is wrong that important the people entrusted with looking after someone’s family should be expected to do so for minimum wage. At Visiting Angels, we pay our caregivers much more to reflect the outstanding job that they do supporting our client’s needs. You will be a genuinely caring person with great listening skills, outstanding empathy, loving personality and the drive to make a difference to our client’s lives. Your personality interests and character will be assessed and matched to that of our client. We know that we can never replace a family bond, but we do want you to approach care as if it is personal. You must be a car driver with a full driving licence and access to you own vehicle. We’d love to talk to you if you’ve never worked in care, but your skills are transferrable. We also know that if you’ve got care experience you’ll appreciate the difference it makes to put you at the centre of what we do. If you would like to talk to us further about becoming a Visiting Angel, please call Tray Hall on 0114 433 3000.